CHICAGO – Christopher Guest, the beloved writer/director behind “Best in Show” and “Waiting For Guffman,” comes to TV this weekend with the premiere of HBO’s “Family Tree” and the result is something unique for television comedy — a show that doesn’t force the laughs as much as build likable characters. Don’t get me wrong. There are major “laugh set-pieces” in the first few episodes of “Family Tree,” such as an amazing first date gone wrong and a race with people dressed like horses and other animals, but the jokes come at a more casual pace than we’re accustomed to with television comedy and Guest seems more laid back than in his more manic films. The result of the slower pace makes for a show that I’m guessing many will wish was more laugh-inducing funny but few shows this season have produced a more consistent smile than HBO’s new offering. 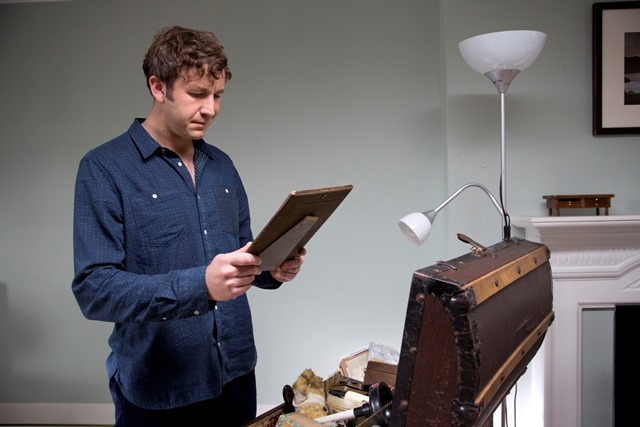 Tom Chadwick (Chris O’Dowd of “Bridesmaids” and “Girls”) is in a standard quarter-life crisis. He’s recently broken up with his girlfriend and lost a crappy job that he hated anyway. After a trip to visit his father Keith (Michael McKean) with his truly odd sister Bea (Nina Conti), who carries around a monkey puppet that says what she’s thinking but societal norms dictates she not say, Tom learns that his great aunt Victoria has recently passed away and left him a box of random curios. When he takes the box to his friend, an antiques dealer named Mr. Pfister (show co-writer Jim Piddock), he discovers that one of the pictures is of his great-grandfather. Tom decides he has to learn more about the man in the picture to learn more about himself. With the help of his best friend Pete (Tom Bennett), Tom finds the wonderfully-named Neville St. Aubrey (Christopher Fairbank), an expert in old photographs. He discovers that Tom’s lineage is not what he presumes, sending Tom further down the rabbit hole into family discovery and secrets revealed. 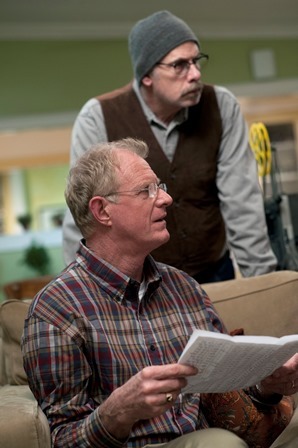 A cavalcade of Guest regulars and new guest stars that includes Bob Balaban, Ed Begley Jr., Guest, Kevin Pollak, Amy Seimetz, and Fred Willard pop up in the eight-episode first season of “Family Tree”. Honestly, there’s not much drastically wrong with “Family Tree.” On one hand, I wish it was funnier. We’ve come to TV comedy with such an expectation of laughter — sitcoms are designed to produce as much actual guffaws as possible to keep you engaged through the commercial break — that it’s almost off-putting to see a show that feels like it doesn’t force its jokes. As you might imagine from a writer/director as accomplished as Christopher Guest, there’s absolutely NO desperation, which is the hallmark of the genre. So many comedies BEG you to laugh, pushing their physical comedy on you to like them. Like “Louie,” the best comedy on TV, “Family Tree” doesn’t feel like its from the same genre in that its creators don’t care if you laugh. They want you to be entertained, for sure, but there’s no sense that the writing is forced like so much of the genre and that approach is refreshing. However, there’s a fine line between not forcing the jokes and just not being all that funny. There are entire episodes of “Louie” with few actual jokes but brilliant writing. I’m not yet convinced that “Family Tree” is as smart. I want the dialogue to be a little crisper, the pacing a little tighter, the characters a little smarter. By the end of the season, I could easily see myself looking back on the whole piece and reappraising these opening episodes in light of what was to come but, for now, it’s good-not-great, something that may disappoint Guest fans but still stands above a lot of its TV competition. “Family Tree” stars Chris O’Dowd, Nina Conti, Tom Bennett, Jim Piddock, Christopher Fairbank, and Michael McKean. It was created by Christopher Guest. It premieres on Sunday, May 12, 2013 at 9:30pm CST.